As the July 4th weekend approaches, I find that it poses something of a challenge for me as I seek to be a follower of Jesus, especially in this day and age. So many of my more conservative Christian brothers and sisters have spent the last many years forging a close relationship between patriotism and their faith. For them, being a good American and being a good Christian have become synonymous. And, I have to say, that it seems to me that in that union it is usually being the good American that wins out. 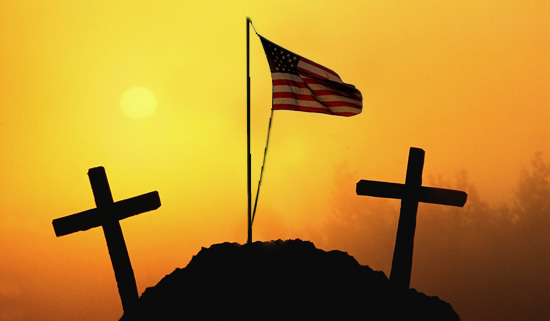 Being a good Christian-American in this perspective means adopting a certain political point of view (always on the right of the political spectrum), and it means believing that America and Americans enjoy some special blessing from God that gives us a privileged position on earth and in history. It’s Jesus dressed in red, white and blue and waving an American flag. I certainly am a supporter of my country. While I often think we are, as a nation, losing touch with reason and sanity more and more these days, I feel fortunate to be a part of this nation and I hope that we can be a positive force in the world. I am deeply aware of how much better my life is, particularly in terms of my material well-being, because I happened to be born here. However, I can’t get on board with the red, white and blue Jesus thing. And I can’t get on board with the idea that we as Americans are particularly and specially blessed. In the Hebrew Bible, ancient Israel struggled greatly with a similar perspective. They experienced themselves as God’s chosen people, and a whole host of assumptions flowed from that conviction that caused them to elevate themselves in their own minds above the other peoples of the world. Yet, the long history of the ancient people of Israel is full of tragedy and sorrow. Woven into the narrative of chosen-ness is another narrative: one of wondering why God allowed such tragedies to happen to Israel if they were indeed God’s specially chosen, specially blessed people. Interestingly, Jesus seems to have short-circuited the narrative of specialness. His teaching seems to make clear that a relationship with God does not depend on any kind of chosen-ness or special status, but rather on a humble heart that truly and sincerely seeks God. Over and over, Jesus warns the people of his time and place not to put confidence in their status as the chosen people. It is part of a theme that is present not only in the Gospels but throughout the narrative of the early church: that following Jesus means transcending the narrow, tribal mentality that so often afflicted the people of his world. Allegiance to one’s tribe, one’s nation, one’s people must give way to allegiance to God in Christ. How ironic that today, so many followers of Jesus seem to embrace that tribal mentality as if this is what Jesus would have wanted and approved of. In so many ways, it runs counter to the heart of his teaching. And the heart of that teaching, the very heart of Jesus’ whole life and ministry, is not the independence of nations and persons, but rather our inter-dependence. Our lives are intimately related to God and to one another – whether that person is our American neighbor next door or a non-American one on the other side of the globe. Independence is ultimately an illusion: inter-dependence is the deep truth of who we are. So let us, indeed, celebrate the Fourth of July fully, giving thanks for the unique history and culture that are ours as Americans and for the many opportunities that we have as citizens of this country. And let us indeed remember that none of of this has come cheaply: some have paid a high price on our behalf. But let us not ever allow ourselves to think that this means that God esteems us any higher than any other people on earth. Let us remember that many of our fellow human beings around the globe have also paid, and continue to pay, a price for our standard of living. And let us remember that as followers of Jesus, our highest allegiance is not to our nation but to God: the One who is not on our side but on the side of the whole human family, upon whom God gives the blessing of life. Our celebration of national independence should also be a recognition of our global inter-dependence. I have recently returned to a spiritual discipline I had gotten away from for a while: a more focused reading of the Bible. You might be surprised to read that I had gotten away from regular Bible reading. After all, aren’t clergy supposed to be reading the Bible all the time? You would be surprised. Mostly, I deal with the biblical passages that are to be read in church the upcoming Sunday. But when that is the focus of your biblical reading, you notice after a while that your sense of the Bible becomes a bit disjointed, because you are really interacting with Scripture in a piecemeal way: a passage here, a passage there. So, I’ve returned to following a scheme that is rooted in an Eastern Christian monastic practice, which is to read one chapter of a Gospel and two chapters of another New Testament writing in order. When one begins, for example, one starts by reading the first chapter of Matthew (the first gospel in the order of the New Testament) and then the first two chapters in Acts (the first book after the gospels). The next day, you then read the second chapter of Matthew and the third and fourth chapter of Acts, and so on. 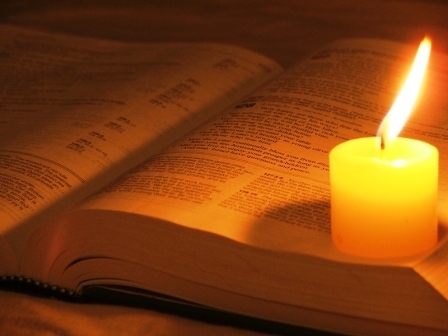 The practice is also accompanied by a reading of the Psalms in order over a period of about 20 days. While it is true that this scheme leaves out all of the Hebrew Scriptures except the Psalms, it also reflects the fact that as a follower of Jesus the primary biblical texts for me are the New Testament writings. The thing that I find valuable about this practice is that it allows me to become more immersed in the Bible, like a kind of spiritual marinade. Sustained reading of the biblical text allows it to gradually seep into me. And it brings me into a kind of sustained dialogue with the Bible and, through the Bible, with the Spirit. And it is this dialogue that to me constitutes the most valuable way of approaching the Bible. Rather than treating it like some kind of text book as some people seem to do, I find it valuable to place myself in conversation with the Bible. In doing so, I often find myself challenged by the text and I find myself challenging the text in return. I don’t always agree with everything I find in the Bible; sometimes I am led to the conclusion that the biblical authors missed something or got something wrong. That process forces me to ask myself what I may be getting wrong. This back and forth with the Bible leads me, I think, to a place of deeper encounter with the living God. It is a sacred dialogue that helps to form me as a follower of Jesus. So many people seem to think that the Bible is supposed to be the end of the conversation. In fact, I am increasingly sure that it is meant to be the beginning of a conversation that lasts a lifetime. The Bible is not the limit beyond which we cannot go; rather, it is the jumping off point, a springboard into friendship with God. And the Lord said, ‘Look, they are one people, and they have all one language; and this is only the beginning of what they will do; nothing that they propose to do will now be impossible for them. Then, Genesis says that God confused their languages, and that led to them wandering off in different directions in their own language groupings, unable to work together to build the tower. On the one hand, this story is undoubtedly a myth that seeks to explain why human beings speak a variety of languages. On the other hand, since the Bible is a collection of spiritual writings, it is sensible to ask whether this story has anything to teach us spiritually? It is interesting to note that the story says that the people wanted to make this tower in order to “make a name” for themselves. In other words, the construction of the tower is rooted in arrogance and ego. It is not designed to serve a larger or higher purpose, but rather to demonstrate how great the builders are. There is no wisdom associated with this tower, only hubris. God’s confusion of the languages, impeding their ability to work together, is really a short-circuiting of that hubris, a confounding of the ego. It’s interesting that the story has God expressing concern that if they are successful in building the tower, then “nothing that they propose to do” will be impossible. To put it another way, one monument to ego will only lead to more ego-driven enterprises, and humanity will have embarked on a soul-damaging path that leaves wisdom in the dust. I don’t believe that this story actually happened. However, it is deeply true. Our world is awash in monuments to ego, enterprises driven by hubris and knowledge that refuse to be tempered by wisdom. Much of the time, we seem to be more concerned with making a name for ourselves than with serving one another. Much of the time, we seem to be more concerned with getting people to adopt our point of view rather than humbly listening to the truth that might be held in someone else’s perspective. The story makes clear that God stands on the side of wisdom, but as so many of the psalms lament, wisdom seldom seems to win the day. 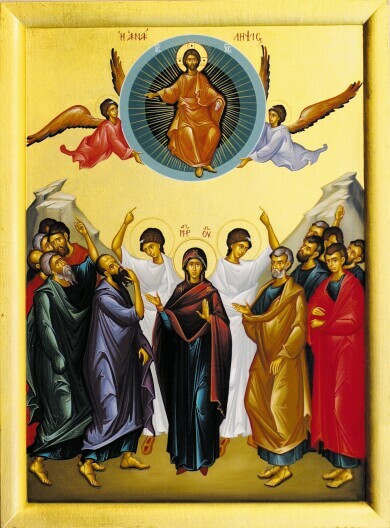 Last Sunday, Christians celebrated Pentecost. One of the stories traditionally read on that day is one from the book of Acts, where the disciples experience the Spirit’s presence in and among them, and they begin praising God aloud. Each person standing near them is said to hear the disciples speaking in his or her own language. It seems impossible to me that the author of Acts wasn’t thinking of this Tower of Babel story when he was writing down this Pentecost story. In this passage from Acts, we encounter a reversal of the Babel story: God has now become the one who unites humanity, who creates understanding rather than division and confusion. The spiritual lesson of the Acts story seems clear enough: the center of the disciples’ lives on that first Pentecost was not the desire to make a name for themselves. Rather, the center of their lives had become God in Christ. The energy that had come to dominate their lives was an energy of waiting for God, an energy of serving God and others. They were open to wisdom, they had encountered wisdom and they were anxious to share that wisdom in order to liberate people in the context of a new relationship with God. With their lives oriented in this way, they experience God’s blessing, and they find unity. 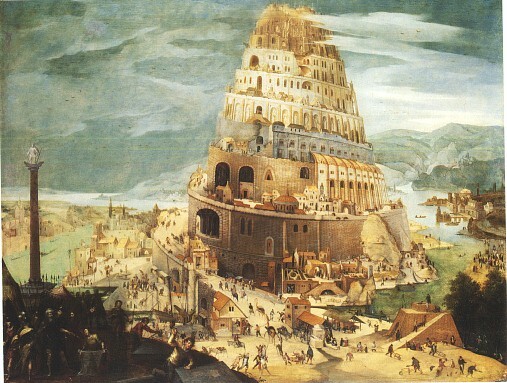 Babel is reversed and new possibilities, represented by the kingdom of God, begin to emerge. It is a certainty, of course, that the Christian movement has not always lived with this Pentecost perspective. We have too often reverted back to Babel, using our religious tradition to create monuments to ego rather than humbly yielding to the energy of the Spirit. Yet, there have always been those who have so yielded, and have served God and others in remarkable ways. We live in a time when ego is killing us. Political egos, religious egos, corporate egos, the ego and hubris of our citizenry – it is all leading us down a destructive road. It is past time for us to awaken to wisdom, to yield to the Spirit, to stop building the Tower of Babel and start listening to the still, small voice that calls us to a deeper humility and a higher purpose. Let us hope we can manage somehow to do it before the towering monuments to ego and hubris fall on us all. In a comment on last week’s blog post, someone asked if I might expand on something I had said earlier equating the sacrament of Communion with spiritual therapy. So, I thought I might do that a bit this week. While we are accustomed to thinking about Christianity as a single faith, the reality we all know is that Christianity really encompasses a great spectrum of belief and practice. One area in which this spectrum is very much in evidence is what we mean as Christians when we talk about salvation. There is, of course, the “heaven and hell” model, in which salvation is understood as avoiding the latter in order to dwell eternally in the former. Whether one “gets to heaven” in eternity is usually tied to some definition of faithfulness, which often includes believing certain things (most particularly, that Jesus is the Savior) and living a personally moral life. It is safe to say, I think, that this understanding of salvation has been dominant in Western Christian Protestantism with roots in Western Roman Catholicism. And, it certainly seems to be supported by a surface reading of parts of the New Testament. Yet, this is hardly the only way to understand salvation, and I would argue that it is not the way the Christian churches in the earliest centuries of our history understood what salvation really was. To more ancient Christians, particularly in the Christian East, salvation has been understood as a process of healing of the human person and, by extension, the communities in which humans dwell. At the heart of this approach is the conviction that something is wrong with us: we have a spiritual illness which creates in us a tendency for self-centered egoism which leads us into sin. That is, it leads us into living our lives in ways that are contrary to God’s dream for us and, consequently, are unhealthy for us. The reality of human physical death is seen as having a spiritual corollary: a spiritual death that results not from an arbitrary divine judgment or the failure of some God-designed test, but from a completely unhealed humanity. Salvation, then, is seen as the process in which we begin to be healed of this spiritual illness, and from this perspective, all of the elements of the spiritual life become therapeutic tools that assist us in that healing process. All of those tools really have one thing in common: they are conduits through which we are able to receive God’s grace. In most of the Christian tradition, the therapeutic tool par excellence has been and is the Eucharist, or Holy Communion. While Christian interpretations of Communion run the gamut from seeing it as a spiritual remembrance of Christ’s death to believing that the bread and wine become the actual Body and Blood of Christ, the deeper truth about Communion that runs through most of the tradition over the centuries is that in the celebration of the sacrament, we have a genuine encounter with Christ. My own tradition, that of The Episcopal Church, generally declines to specify how this encounter happens. It is a mystery. But we affirm the reality of that encounter, believing that in the whole service of Holy Communion from the opening sentences to the blessing and receiving of the bread and wine to the closing dismissal, we do genuinely encounter the living Christ. This is understood as an experience of grace. And that encounter with Christ, that experience, is therapeutic. It does us good on a spiritual level, delivering to us spiritual “medicine” that helps in making us whole, in creating salvation within us. Of course, the Christian tradition would be emphatic that Communion itself must be allied with the other spiritual tools: personal and corporate prayer, life in Christian community, works of mercy and compassion, regular reading of the Scriptures. All of these are conduits and avenues of grace that help to reform us into the image of God revealed in Christ. It is all spiritual therapy, it is all energized by the Spirit, and it moves us into salvation – a process that is not isolated to a single “ah-ha” moment but which unfolds over the whole of our lives.